This course is hands-on and will strongly increase your palpation and treatment skills. Participants will come away with a strong foundation of assessment tools with specific tests to rule out and address injuries. Practitioners will learn to distinguish injuries from chronic tension. Each segment focuses on detailed testing on acute and chronic injuries related to that area of the body. Practitioners will learn to look past minor indicators, which may mislead their treatment approach. With this increased accuracy in assessing injuries, a therapist can reduce treatment time and increase their effectiveness in reducing clients’ pain. There are a total of six training workshops required for orthopedic massage certification: the Shoulder, Neck/Thorax, Low Back, Knee/Hip/Thigh, Wrist/Hand/Elbow, and Foot/Ankle/Low Leg. The workshops can be taken in any order. Students must take a private lesson with Lois for each workshop. During these private tutoring sessions, students practice the assessment tests, palpations and massage techniques from each workshop. This allows students to check and refine their skills. The cost is $75 per lesson. Anatomy: Students view, draw and palpate relevant musculoskeletal structures. Assessment: Students practice detailed history taking, palpation of injured structures, and learn the specific orthopedic assessment tests for the part of the body being studied. Theory: Students use the history, assessment test findings, and the results of palpation to determine which structures are injured. Technique: Students learn detailed treatment techniques to eliminate unwanted adhesive scar tissue, including deep transverse friction, therapeutic exercises, and stretching. Integration: After learning the theoretical basis and assessment procedures, students integrate this information in hands-on learning games using case studies of actual clients. Clinic: Students practice their skills by participating in an injury assessment clinic, free and open to the public, under Lois’ supervision. Exams and Private Lessons: Students test their understanding with open book exams. Those working toward certification in Orthopedic Massage fine tune their hands-on skills in additional private tutoring sessions with Lois . This segment focuses on specific frictioning techniques for the ligamentous structures, joints and muscles of the low back. The skills learned are helpful in assessing and treating tendon and ligament injures, sacroiliac ligament sprains, lumbar sacral sprain, sciatica and disc injuries. The skills learned are helpful in assessing and treating tendon and ligament injuries, patellar tendinitis, medial compartment syndrome, chronic hamstring and quadriceps injuries, and iliotibial band syndrome. There will be a strong focus in the segment on athletic based injuries. The skills learned are helpful in assessing and treating, tendon and ligament injuries, lateral ankle sprains, plantar fasciitis, achilles tendinitis, as well as lateral and posterior shin splints. This segment focuses on detailed testing for possible disc and ligament injuries as well as nerve root lesions. Assessment tools for this segment include active resistance tests (to rule out neurological dysfunction) and passive tests (to isolate ligamentous injuries, which may be masked by secondary muscle spasms). Hands-on techniques include friction of neck muscles and ligaments. The Shoulder: The skills learned are helpful in assessing and treating tendon and ligament injuries, rotator cuff injuries, subscapularis tendonitis, acromio-clavicular joint or ligament sprain, biceps and triceps tendinitis, and acute bursitis. The skills learned are helpful in assessing and treating tendon and ligament injuries, repetitive stress injuries, carpal tunnel syndrome, trigger finger and tennis/golfer’s elbow. Lois Orth-Zitoli is both an orthopedic massage therapist and a health/nutrition coach. 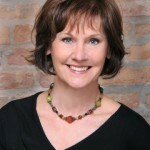 She is the owner of Full Circle Health in Chicago. She has worked in the field of Orthopedic Massage Therapy for over 30 years, in both private practice and as the owner/director of Massage Therapy Professionals for 15 years. Under Dr. Benjamin’s direct supervision, Lois spent 4 years training to teach injury assessment and treatment to massage therapists. Lois is an engaging and passionate teacher who employs a variety of teaching/learning styles to meet the needs of each student. Ben Benjamin Orthopedic Massage Workshops are for massage therapists who want to increase their expertise and success rate in helping to relieve their client’s pain. You will learn how to find the exact source of a client’s pain and how to administer effective treatment. These workshops will give you the knowledge and understanding to make you a more effective massage therapist.